For other uses, see Refugee (disambiguation). In 1967, this legal concept was expanded by the UN Protocol Relating to the Status of Refugees. European Union's minimum standards definition of refugee, underlined by Art. 2 (c) of Directive No. 2004/83/EC, essentially reproduces the narrow definition of refugee offered by the UN 1951 Convention; nevertheless, by virtue of articles 2 (e) and 15 of the same Directive, persons who have fled a war-caused generalized violence are, at certain conditions, eligible for a complementary form of protection, called subsidiary protection. The same form of protection is foreseen for displaced people who, without being refugees, are nevertheless exposed, if returned to their countries of origin, to death penalty, torture or other inhuman or degrading treatments. The idea that a person who sought sanctuary in a holy place could not be harmed without inviting divine retribution was familiar to the ancient Greeks and ancient Egyptians. However, the right to seek asylum in a church or other holy place was first codified in law by King Æthelberht of Kent in about AD 600. Similar laws were implemented throughout Europe in the Middle Ages. The related concept of political exile also has a long history: Ovid was sent to Tomis; Voltaire was sent to England. By the 1648 Peace of Westphalia, nations recognized each other's sovereignty. However, it was not until the advent of romantic nationalism in late 18th-century Europe that nationalism gained sufficient prevalence for the phrase country of nationality to become practically meaningful, and for border crossing to require that people provide identification. The term "refugee" sometime applies to people who might fit the definition outlined by the 1951 Convention, were it applied retroactively. There are many candidates. For example, after the Edict of Fontainebleau in 1685 outlawed Protestantism in France, hundreds of thousands of Huguenots fled to England, the Netherlands, Switzerland, South Africa, Germany and Prussia. The repeated waves of pogroms that swept Eastern Europe in the 19th and early 20th centuries prompted mass Jewish emigration (more than 2 million Russian Jews emigrated in the period 1881–1920). 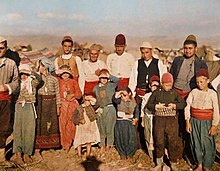 Beginning in the 19th century, Muslim people emigrated to Turkey from Europe. The Balkan Wars of 1912–1913 caused 800,000 people to leave their homes. Various groups of people were officially designated refugees beginning in World War I. In 1930, the Nansen International Office for Refugees (Nansen Office) was established as a successor agency to the Commission. Its most notable achievement was the Nansen passport, a refugee travel document, for which it was awarded the 1938 Nobel Peace Prize. The Nansen Office was plagued by problems of financing, an increase in refugee numbers, and a lack of co-operation from some member states, which led to mixed success overall. The mandate of the High Commission was subsequently expanded to include persons from Austria and Sudetenland, which Germany annexed after 1 October 1938 in accordance with the Munich Agreement. 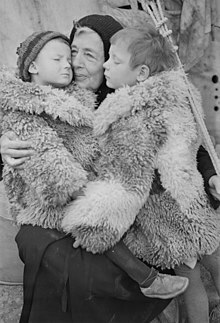 According to the Institute for Refugee Assistance, the actual count of refugees from Czechoslovakia on 1 March 1939 stood at almost 150,000. Between 1933 and 1939, about 200,000 Jews fleeing Nazism were able to find refuge in France,  while at least 55,000 Jews were able to find refuge in Palestine  p. 326 n. 6. before the British authorities closed that destination in 1939. 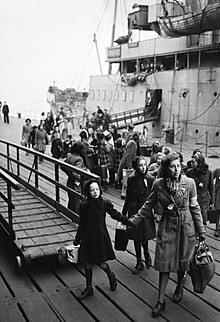 The conflict and political instability during World War II led to massive numbers of refugees (see World War II evacuation and expulsion). In 1943, the Allies created the United Nations Relief and Rehabilitation Administration (UNRRA) to provide aid to areas liberated from Axis powers, including parts of Europe and China. By the end of the War, Europe had more than 40 million refugees. UNRRA was involved in returning over seven million refugees, then commonly referred to as displaced persons or DPs, to their country of origin and setting up displaced persons camps for one million refugees who refused to be repatriated. Even two years after the end of War, some 850,000 people still lived in DP camps across Western Europe. DP Camps in Europe Intro, from: DPs Europe's Displaced Persons, 1945–1951 by Mark Wyman After the establishment of Israel in 1948, Israel accepted more than 650,000 refugees by 1950. By 1953, over 250,000 refugees were still in Europe, most of them old, infirm, crippled, or otherwise disabled. After the Soviet armed forces captured eastern Poland from the Germans in 1944, the Soviets unilaterally declared a new frontier between the Soviet Union and Poland approximately at the Curzon Line, despite the protestations from the Polish government-in-exile in London and the western Allies at the Teheran Conference and the Yalta Conference of February 1945. After the German surrender on 7 May 1945, the Allies occupied the remainder of Germany, and the Berlin declaration of 5 June 1945 confirmed the division of Allied-occupied Germany according to the Yalta Conference, which stipulated the continued existence of the German Reich as a whole, which would include its eastern territories as of 31 December 1937. This did not impact on Poland's eastern border, and Stalin refused to be removed from these eastern Polish territories. A Dutch school teacher leads a group of refugee children just disembarked from a ship at Tilbury Docks in Essex during 1945. 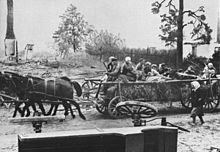 Although not approved by Allies at Potsdam, hundreds of thousands of ethnic Germans living in Yugoslavia and Romania were deported to slave labour in the Soviet Union, to Allied-occupied Germany, and subsequently to the German Democratic Republic ( East Germany), Austria and the Federal Republic of Germany ( West Germany). This entailed the largest population transfer in history. In all 15 million Germans were affected, and more than two million perished during the expulsions of the German population. (See Flight and expulsion of Germans (1944–1950).) Between the end of War and the erection of the Berlin Wall in 1961, more than 563,700 refugees from East Germany traveled to West Germany for asylum from the Soviet occupation. The International Refugee Organization (IRO) was founded on 20 April 1946, and took over the functions of the United Nations Relief and Rehabilitation Administration, which was shut down in 1947. While the handover was originally planned to take place at the beginning of 1947, it did not occur until July 1947. The International Refugee Organization was a temporary organization of the United Nations (UN), which itself had been founded in 1945, with a mandate to largely finish the UNRRA's work of repatriating or resettling European refugees. It was dissolved in 1952 after resettling about one million refugees. The definition of a refugee at this time was an individual with either a Nansen passport or a " Certificate of identity" issued by the International Refugee Organization. The Constitution of the International Refugee Organization, adopted by the United Nations General Assembly on 15 December 1946, specified the agency's field of operations. Controversially, this defined "persons of German ethnic origin" who had been expelled, or were to be expelled from their countries of birth into the postwar Germany, as individuals who would "not be the concern of the Organization." This excluded from its purview a group that exceeded in number all the other European displaced persons put together. Also, because of disagreements between the Western allies and the Soviet Union, the IRO only worked in areas controlled by Western armies of occupation. Headquartered in Geneva, Switzerland, the Office of the United Nations High Commissioner for Refugees (UNHCR) was established on 14 December 1950. It protects and supports refugees at the request of a government or the United Nations and assists in providing durable solutions, such as return or resettlement. All refugees in the world are under UNHCR mandate except Palestinian refugees, who fled the current state of Israel between 1947 and 1949, as a result of the 1948 Palestine War. These refugees are assisted by the United Nations Relief and Works Agency (UNRWA). However, Palestinian Arabs who fled the West Bank and Gaza after 1949 (for example, during the 1967 Six Day war) are under the jurisdiction of the UNHCR. Moreover, the UNHCR also provides protection and assistance to other categories of displaced persons: asylum seekers, refugees who returned home voluntarily but still need help rebuilding their lives, local civilian communities directly affected by large refugee movements, stateless people and so-called internally displaced people (IDPs), as well as people in refugee-like and IDP-like situations. The agency is mandated to lead and co-ordinate international action to protect refugees and to resolve refugee problems worldwide. Its primary purpose is to safeguard the rights and well-being of refugees. It strives to ensure that everyone can exercise the right to seek asylum and find safe refuge in another state or territory and to offer "durable solutions" to refugees and refugee hosting countries. Voluntary return of refugees into their country of origin, in safety and dignity, is based on their free will and their informed decision. In the last couple of years parts of or even whole refugee populations were able to return to their home countries: e.g. 120,000 Congolese refugees returned from the Republic of Congo to the DRC,  30,000 Angolans returned home from the DRC  and Botswana, Ivorian refugees returned from Liberia, Afghans from Pakistan, and Iraqis from Syria. In 2013, the governments of Kenya and Somalia also signed a tripartite agreement facilitating the repatriation of refugees from Somalia. The UNHCR and the IOM offer assistance to refugees who want to return voluntarily to their home countries. Many developed countries also have Assisted Voluntary Return (AVR) programmes for asylum seekers who want to go back or were refused asylum. UNHCR's mandate has gradually been expanded to include protecting and providing humanitarian assistance to internally displaced persons (IDPs) and people in IDP-like situations. These are civilians who have been forced to flee their homes, but who have not reached a neighboring country. IDPs do not fit the legal definition of a refugee under the 1951 Refugee Convention, 1967 Protocol and the 1969 Organization for African Unity Convention, because they have not left their country. As the nature of war has changed in the last few decades, with more and more internal conflicts replacing interstate wars, the number of IDPs has increased significantly. The term refugee is often used in different contexts: in everyday usage it refers to a forcibly displaced person who has fled their country of origin; in a more specific context it refers to such a person who was, on top of that, granted refugee status in the country the person fled to. Even more exclusive is the Convention refugee status which is given only to persons who fall within the refugee definition of the 1951 Convention and the 1967 Protocol. To receive refugee status, a person must have applied for asylum, making them—while waiting for a decision—an asylum seeker. However, a displaced person otherwise legally entitled to refugee status may never apply for asylum, or may not be allowed to apply in the country they fled to and thus may not have official asylum seeker status. Once a displaced person is granted refugee status they enjoy certain rights as agreed in the 1951 Refugee convention. Not all countries have signed and ratified this convention and some countries do not have a legal procedure for dealing with asylum seekers. An asylum seeker is a displaced person or immigrant who has formally sought the protection of the state they fled to as well as the right to remain in this country and who is waiting for a decision on this formal application. An asylum seeker may have applied for Convention refugee status or for complementary forms of protection. Asylum is thus a category that includes different forms of protection. Which form of protection is offered depends on the legal definition that best describes the asylum seeker's reasons to flee. Once the decision was made the asylum seeker receives either Convention refugee status or a complementary form of protection, and can stay in the country—or is refused asylum, and then often has to leave. Only after the state, territory or the UNHCR—wherever the application was made—recognises the protection needs does the asylum seeker officially receive refugee status. This carries certain rights and obligations, according to the legislation of the receiving country. Quota refugees do not need to apply for asylum on arrival in the third countries as they already went through the UNHCR refugee status determination process whilst being in the first country of asylum and this is usually accepted by the third countries. To receive refugee status, a displaced person must go through a Refugee Status Determination (RSD) process, which is conducted by the government of the country of asylum or the UNHCR, and is based on international, regional or national law. RSD can be done on a case by case basis as well as for whole groups of people. Which of the two processes is used often depends on the size of the influx of displaced persons. There is no specific method mandated for RSD (apart from the commitment to the 1951 Refugee Convention) and it is subject to the overall efficacy of the country's internal administrative and judicial system as well as the characteristics of the refugee flow to which the country responds. This lack of a procedural direction could create a situation where political and strategic interests override humanitarian considerations in the RSD process. There are also no fixed interpretations of the elements in the 1951 Refugee Convention and countries may interpret them differently (see also refugee roulette). Have competing claims with others, including the state and its foreign or local business partners (as in Aceh, Angola, Colombia, Liberia and Sudan). Refugees who were resettled to a third country will likely lose the indefinite leave to remain in this country if they return to their country of origin or the country of first asylum. Non-refoulement is the right not to be returned to a place of persecution and is the foundation for international refugee law, as outlined in the 1951 Convention Relating to the Status of Refugees. The right to non-refoulement is distinct from the right to asylum. To respect the right to asylum, states must not deport genuine refugees. In contrast, the right to non-refoulement allows states to transfer genuine refugees to third party countries with respectable human rights records. The portable procedural model, proposed by political philosopher Andy Lamey, emphasizes the right to non-refoulement by guaranteeing refugees three procedural rights (to a verbal hearing, to legal counsel, and to judicial review of detention decisions) and ensuring those rights in the constitution. This proposal attempts to strike a balance between the interest of national governments and the interests of refugees. Family reunification (which can also be a form of resettlement) is a recognized reason for immigration in many countries. Divided families have the right to be reunited if a family member with permanent right of residency applies for the reunification and can prove the people on the application were a family unit before arrival and wish to live as a family unit since separation. If application is successful this enables the rest of the family to immigrate to that country as well. Those states that signed the Convention Relating to the Status of Refugees are obliged to issue travel documents (i.e. "Convention Travel Document") to refugees lawfully residing in their territory. [D] It is a valid travel document in place of a passport, however, it cannot be used to travel to the country of origin, i.e. from where the refugee fled. Displacement is a long lasting reality for most refugees. Two-thirds of all refugees around the world have been displaced for over three years, which is known as being in 'protracted displacement'. 50% of refugees – around 10 million people – have been displaced for over ten years. Among other symptoms, post-traumatic stress disorder involves anxiety, over-alertness, sleeplessness, chronic fatigue syndrome, motor difficulties, failing short term memory, amnesia, nightmares and sleep-paralysis. Flashbacks are characteristic to the disorder: the patient experiences the traumatic event, or pieces of it, again and again. Depression is also characteristic for PTSD-patients and may also occur without accompanying PTSD. Refugees are often more susceptible to illness for several reasons, including a lack of immunity to local strains of malaria and other diseases. Displacement of a people can create favorable conditions for disease transmission. 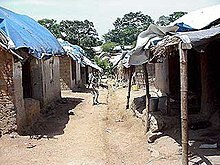 Refugee camps are typically heavily populated with poor sanitary conditions. The removal of vegetation for space, building materials or firewood also deprives mosquitoes of their natural habitats, leading them to more closely interact with humans. In the 1970s, Afghani refugees that were relocated to Pakistan were going from a country with an effective malaria control strategy, to a country with a less effective system. Historically, refugee populations have often been portrayed as a security threat. In the U.S and Europe, there has been much focus on the narrative that terrorists maintain networks amongst transnational, refugee, and migrant populations. This fear has been exaggerated into a modern-day Islamist terrorism Trojan Horse in which terrorists hide among refugees and penetrate host countries. 'Muslim-refugee-as-an-enemy-within' rhetoric is relatively new, but the underlying scapegoating of out-groups for domestic societal problems, fears and ethno-nationalist sentiment is not new. 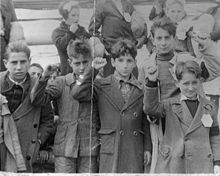 In the 1890s, the influx of Eastern European Jewish refugees to London coupled with the rise of anarchism in the city led to a confluence of threat-perception and fear of the refugee out-group. Populist rhetoric then too propelled debate over migration control and protecting national security. The experiences children go through during times of armed conflict can impede their ability to learn in an educational setting. Schools experience drop-outs of refugee and immigrant students from an array of factors such as: rejection by peers, low self-esteem, antisocial behavior, negative perceptions of their academic ability, and lack of support from school staff and parents. Because refugees come from various regions globally with their own cultural, religious, linguistic, and home practices, the new school culture can conflict with the home culture, causing tension between the student and their family. Aside from students, teachers and school staff also face their own obstacles in working with refugee students. They have concerns about their ability to meet the mental, physical, emotional, and educational needs of students. One study of newly arrived Bantu students from Somalia in a Chicago school questioned whether schools were equipped to provide them with a quality education that met the needs of the pupils. The students were not aware of how to use pencils, which caused them to break the tips requiring frequent sharpening. Teachers may even see refugee students as different from other immigrant groups, as was the case with the Bantu pupils. Teachers may sometimes feel that their work is made harder because of the pressures to meet state requirements for testing. With refugee children falling behind or struggling to catch up, it can overwhelm teachers and administrators. Not all students adjust the same way to their new setting. One student may take only three months, while others may take four years. One study found that even in their fourth year of schooling, Lao and Vietnamese refugee students in the US were still in a transitional status. Refugee students continue to encounter difficulties throughout their years in schools that can hinder their ability to learn. 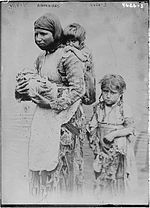 Furthermore, to provide proper support, educators must consider the experiences of students before they settled the US. One school in NYC has found a method that works for them to help refugee students succeed. This school creates support for language and literacies, which promotes students using English and their native languages to complete projects. Furthermore, they have a learning centered pedagogy, which promotes the idea that there are multiple entry points to engage the students in learning. Both strategies have helped refugee students succeed during their transition into US schools. Various websites contain resources that can help school staff better learn to work with refugee students such as Bridging Refugee Youth and Children's Services. With the support of educators and the school community, education can help rebuild the academic, social, and emotional well being of refugee students who have suffered from past and present trauma, marginalization, and social alienation. It is important to understand the cultural differences amongst newly arrived refugees and school culture, such as that of the U.S. This can be seen as problematic because of the frequent disruptions that it can create in a classroom setting. Refugee crisis can refer to movements of large groups of displaced persons, who could be either internally displaced persons, refugees or other migrants. It can also refer to incidents in the country of origin or departure, to large problems whilst on the move or even after arrival in a safe country that involve large groups of displaced persons. Among them, Syrian refugees were the largest group in 2015 at 4.9 million. In 2014, Syrians had overtaken Afghan refugees (2.7 million), who had been the largest refugee group for three decades. Somalis were the third largest group with one million. The countries hosting the largest number of refugees according to UNHCR were Turkey (2.5 million), Pakistan (1.6 million), Lebanon (1.1 million) and Iran (1 million). the countries that had the largest numbers of internally displaced people were Colombia at 6.9, Syria at 6.6 million and Iraq at 4.4 million. ^ The " Convention Concerning the Exchange of Greek and Turkish Populations" was signed at Lausanne, Switzerland, on 30 January 1923, by the governments of Greece and Turkey. ^ Text in League of Nations Treaty Series, vol. 171, p. 77. ^ "Populations | Global Focus". ^ a b c Convention Protocol relating 1967. ^ "UNRWA | United Nations Relief and Works Agency for Palestine Refugees in the Near East". UNRWA. Retrieved 23 August 2017. ^ Gwynn, Robin (5 May 1985). "England's 'First Refugees'". History Today. 35 (5). Retrieved 18 January 2019. ^ Assembly of Heads of State and Government (Sixth Ordinary Session) 1969. ^ Office of the United Nations High Commissioner for Refugees (UNHCR) 2011, p. 19. ^ a b Nansen International Office. ^ Old fears over 2006. ^ Gelber 1993, pp. 323–39. ^ Refugees: Save Us! 1979. ^ Statistisches Bundesamt, Die 1958. ^ Forced Resettlement", "Population, 2003. ^ Elliott 1973, pp. 253–275. ^ James D. Morrow, "The Institutional Features of the Prisoners of War Treaties," International Organization 55, no. 4 (2001), 984, https://www.jstor.org/stable/pdf/3078622. ^ Patriots ignore greatest 2007, p. 2. ^ Refugees, United Nations High Commissioner for. "Refworld – UNHCR CDR Background Paper on Refugees and Asylum Seekers from Azerbaijan". ^ "ECRI REPORT ON AZERBAIJAN" (PDF). 31 May 2011. ^ United Nations Relief 1994. ^ International Refugee Organization 1994. ^ Stein, Barry N., and Silvano M. Tomasi. "Foreword." The International Migration Review, vol. 15, no. 1/2, 1981, pp. 5–7. JSTOR, JSTOR, www.jstor.org/stable/2545317. ^ Black, Richard. "Fifty years of refugee studies: From theory to policy." International Migration Review 35.1 (2001): 57-78. ^ a b Malkki, Liisa H. (1995). "Refugees and Exile: From "Refugee Studies" to the National Order of Things". Annual Review of Anthropology. 24 (1): 495–523. doi: 10.1146/annurev.an.24.100195.002431. ^ United Nations High Commissioner for Refugees. ^ "Refugees solutions". UNHCR. Retrieved 26 August 2018. ^ a b Schmitt 2014. ^ Nairobi to open 2014. 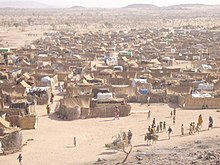 ^ a b Understanding Resettlement to 2004. ^ a b Refugee Status Determination. ^ Higgins 2016, pp. 71–93. ^ Refugees, United Nations High Commissioner for. "Handbook on Procedures and Criteria for Determining Refugee Status under the 1951 Convention and the 1967 Protocol relating to the Status of Refugees". ^ Lamey 2011, pp. 232–266. ^ Executive Committee of the High Commissioner's Programme 1989. ^ "Refugee Week (UK) About Us". Refugee Week. Retrieved 24 July 2018. ^ "Day 10, Year of #Mygration: Pope Francis World Day of Migrants and Refugees, 14 January 2018". Research at The Open University. 12 January 2018. Retrieved 2 April 2018. ^ Khamis 2005, pp. 81–95. ^ Sundquist et al. 2005, pp. 158–64. ^ Geltman et al. 2005, pp. 585–91. ^ Fazel, Wheeler & Danesh 2005, pp. 1309–14. ^ Kazmi & Pandit 2001, pp. 1043–1055. ^ Rowland et al. 2002, pp. 2061–2072. ^ Karim et al. 2016, pp. 1–12. ^ Mertans & Hall 2000, pp. 103–9. ^ Roggelin et al. 2016, p. 325. ^ Kolaczinski 2004, pp. 15. ^ a b Kazmi, JH; Pandit, K (2001). "Disease and dislocation: the impact of refugee movements on the geography of malaria in NWFP, Pakistan". Social Science & Medicine. 52 (7): 1043–1055. doi: 10.1016/S0277-9536(01)00341-0. ^ Pross, C (1998). "Third Class Medicine: Health Care for Refugees in Germany". Health and Human Rights. 3 (3): 40–53. doi: 10.2307/4065298. JSTOR 4065298. ^ Aggrawal 2005, pp. 514–525. ^ United Nations High Commissioner for Refugees (UNHCR) 1999. ^ Weiss 1999, pp. 1–22. ^ a b c Schmid, Alex (2016). "Links Between Terrorism and Migration: An Exploration" (PDF). The International Centre for Counter-Terrorism–The Hague. doi: 10.19165/2016.1.04. ^ Coser, Lewis (1956). The Functions of Social Conflict. The Free Press. ^ Michael Collyer is a Research Fellow in the Department of Geography; Sussex, the Sussex Centre for Migration Research at the University of (1 March 2005). "Secret agents: Anarchists, Islamists and responses to politically active refugees in London". Ethnic and Racial Studies. 28 (2): 278–303. doi: 10.1080/01419870420000315852. ISSN 0141-9870. ^ Milton, Daniel; Spencer, Megan; Findley, Michael (1 November 2013). "Radicalism of the Hopeless: Refugee Flows and Transnational Terrorism". International Interactions. 39 (5): 621–645. doi: 10.1080/03050629.2013.834256. ISSN 0305-0629. ^ Messari, N.; Klaauw, J. van der (1 December 2010). "Counter-Terrorism Measures and Refugee Protection in North Africa". Refugee Survey Quarterly. 29 (4): 83–103. doi: 10.1093/rsq/hdq034. ISSN 1020-4067. ^ Wilner, Alex S.; Dubouloz, Claire-Jehanne (1 February 2010). "Homegrown terrorism and transformative learning: an interdisciplinary approach to understanding radicalization". Global Change, Peace & Security. 22 (1): 33–51. doi: 10.1080/14781150903487956. ISSN 1478-1158. ^ a b Wike, Richard, Bruce Stokes, and Katie Simmons. "Europeans fear wave of refugees will mean more terrorism, fewer jobs." Pew Research Center 11 (2016). ^ Nowrasteh, Alex (13 September 2016). "Terrorism and Immigration: A Risk Analysis". SSRN 2842277. ^ "Injury Facts Chart". www.nsc.org. Retrieved 29 March 2017. ^ McGowan, Lee (3 July 2014). "Right-Wing Violence in Germany: Assessing the Objectives, Personalities and Terror Trail of the National Socialist Underground and the State's Response to It". German Politics. 23 (3): 196–212. doi: 10.1080/09644008.2014.967224. ISSN 0964-4008. ^ a b Wiggen, Mette (1 December 2012). "Rethinking Anti-Immigration Rhetoric after the Oslo and Utøya Terror Attacks". New Political Science. 34 (4): 585–604. doi: 10.1080/07393148.2012.729744. ISSN 0739-3148. ^ Savun, Burcu; Gineste, Christian (2019). "From protection to persecution: Threat environment and refugee scapegoating". Journal of Peace Research. 56: 88–102. doi: 10.1177/0022343318811432. ^ a b c d e f Dryden-Peterson, S. (2015). The Educational Experiences of Refugee Children in Countries of First Asylum (Rep.). Washington, DC: Migration Policy Institute. ^ a b c Mcbrien, J. L. (2005). "Educational Needs and Barriers for Refugee Students in the United States: A Review of the Literature". Review of Educational Research. 75 (3): 329–364. CiteSeerX 10.1.1.459.5997. doi: 10.3102/00346543075003329. ^ Birman, D., & Tran, N. (2015). The Academic Engagement of Newly Arriving Somali Bantu Students in a U.S. Elementary School. Washington, DC: Migration Policy Institute. ^ a b Mendenhall, M.; Bartlett, L.; Ghaffar-Kucher, A. (2016). ""If You Need Help, They are Always There for us": Education for Refugees in an International High School in NYC". The Urban Review. 49 (1): 1–25. doi: 10.1007/s11256-016-0379-4. ^ "UNHCR Figures at a Glance". ^ Refugees at highest 2016. ^ a b Global Trends: Forced 2016. ^ Rüegger & Bohnet 2015. ^ Bassel 2012, p. 84. ^ Global forced displacement 2016. ^ Global forced displacement 2014. ^ Global forced displacement 2013. ^ Global forced displacement 2012. ^ Global forced displacement 2011. ^ Global forced displacement 2010. ^ Global forced displacement 2009. ^ Global forced displacement 2008. Aggrawal A (2005). "Refugee Medicine". In Payne-James JJ, Byard RW, Corey TS, Henderson C (eds.). Encyclopedia of Forensic and Legal Medicine. 3. London: Elsevier Academic Press. pp. 514–525. Assembly of Heads of State and Government (Sixth Ordinary Session) (September 1969). "OAU convention governing the specific aspects of refugee problems in Africa". Bassel, Leah (2012). Refugee Women: Beyond Gender Versus Culture. "Convention relating to the Status of Refugees". www.ohchr.org. Retrieved 28 September 2015. Crisp, J. (1999). "A State of Insecurity: The Political Economy of Violence in Refugee-Populated Areas of Kenya". New Issues in Refugee Research (Working Paper No. 16). de Zayas, Alfred (1977). Nemesis at Potsdam. London and Boston: Routledge. de Zayas, Alfred (2006). A Terrible Revenge. Palgrave/Macmillan. Dehghanpisheh, Babak (10 April 2013). "Iraqi refugees in Syria feel new strains of war". The Washington Post. Retrieved 18 December 2015. "Detainee children 'in suicide pact'". CNN. 28 January 2002. Retrieved 22 May 2010. Elliott, Mark (June 1973). "The United States and Forced Repatriation of Soviet Citizens, 1944–47". Political Science Quarterly. 88 (2): 253–275. doi: 10.2307/2149110. JSTOR 2149110. Executive Committee of the High Commissioner's Programme (13 October 1989). "Problem of Refugees and Asylum-Seekers Who Move in an Irregular Manner from a Country in Which They Had Already Found Protection". "Fact sheet about Malaria. (n.d.)". Retrieved 26 October 2016. Fazel, M; Wheeler, J; Danesh, J (2005). "Prevalence of serious mental disorder in 7000 refugees resettled in western countries: a systematic review". Lancet. 365 (9467): 1309–14. doi: 10.1016/s0140-6736(05)61027-6. PMID 15823380. "Final Compensation Pending for Former Nazi Forced Laborers". "Forced Labor at Ford Werke AG during the Second World War". Archived from the original on 14 October 2007. "Forced Repatriation to the Soviet Union: The Secret Betrayal" (PDF). Retrieved 7 March 2017. 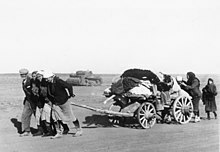 Forced Resettlement", "Population, Expulsion and Transfer", "Repatriation". Encyclopaedia of Public International Law (Volumes 1–5 ed.). Amsterdam: North Holland Publishers. 1993–2003. "Forced displacement of Czech population under Nazis in 1938 and 1943". Radio Prague. "Forced migration in the 20th century". Archived from the original on 21 October 2015. "France". Holocaust Encyclopedia. United States Holocaust Memorial Museum. Gelber, Yoav (1993). "The Historical Role of the Central European Immigration to Israel". The Leo Baeck Institute Year Book. 38 (1): 323–39. doi: 10.1093/leobaeck/38.1.323. eISSN 1758-437X. ISSN 0075-8744. Geltman, PL; Grant-Knight, W; Mehta, SD; Lloyd-Travaglini, C; Lustig, S; Landgraf, JM; Wise, PH (2005). "The "lost boys of Sudan": functional and behavioral health of unaccompanied refugee minors re-settled in the United States". Archives of Pediatrics and Adolescent Medicine. 159 (6): 585–91. doi: 10.1001/archpedi.159.6.585. PMID 15939860. "Global Trends: Forced Displacement 2015". UNHCR. 20 June 2016. Retrieved 20 June 2016. "Global forced displacement trends. (Annexes) UNHCR Statistical Yearbook". United Nations Convention Relating to the Status of Refugees. 2008. Retrieved 15 May 2016. "Global forced displacement trends. (Annexes) UNHCR Statistical Yearbook". United Nations Convention Relating to the Status of Refugees. 2009. Retrieved 15 May 2016. "Global forced displacement trends. (Annexes) UNHCR Statistical Yearbook". United Nations Convention Relating to the Status of Refugees. 2010. Retrieved 15 May 2016. "Global forced displacement trends. (Annexes) UNHCR Statistical Yearbook". United Nations Convention Relating to the Status of Refugees. 2011. Retrieved 15 May 2016. "Global forced displacement trends. (Annexes) UNHCR Statistical Yearbook". United Nations Convention Relating to the Status of Refugees. 2012. Retrieved 15 May 2016. "Global forced displacement trends. (Annexes) UNHCR Statistical Yearbook". United Nations Convention Relating to the Status of Refugees. 2013. Retrieved 15 May 2016. "Global forced displacement trends. (Annexes) UNHCR Statistical Yearbook". United Nations Convention Relating to the Status of Refugees. 2014. Retrieved 15 May 2016. "Global forced displacement trends. (Annexes) UNHCR Statistical Yearbook" (PDF). United Nations Convention Relating to the Status of Refugees. 2016. Retrieved 8 May 2018. Goldberg, Diana (29 November 2001). "From refugee to citizen: a Guatemalan in Mexico". UNHCR. Retrieved 9 July 2016. "Greek and Turkish refugees and deportees 1912–1924" (PDF). Universiteit Leiden. Archived from the original (PDF) on 16 July 2007. Higgins, C. (2016). "New evidence on refugee status determination in Australia, 1978–1983". Refugee Survey Quarterly. 35 (3): 71–93. doi: 10.1093/rsq/hdw008. "Humanisten Nansen (in Norwegian)". Arkivverket.no. Archived from the original on 26 January 2013. "International Refugee Organization". Infoplease 2000–2006 Pearson Education. The Columbia Electronic Encyclopedia. 1994. Retrieved 13 October 2006. Karim, AM; Hussain, I; Malik, SK; Lee, JH; Cho, IH; Kim, YB; Lee, SH (2016). "Epidemiology and the Clinical Burden of Malaria in the War-Torn Area, Orakzai Agency in Pakistan". PLOS Neglected Tropical Diseases. 10 (1): 1–12. doi: 10.1371/journal.pntd.0004399. PMC 4725727. PMID 26809063. Kazmi, JH; Pandit, K (2001). "Disease and dislocation: the impact of refugee movements on the geography of malaria in NWFP, Pakistan". Social Science & Medicine. 52 (7): 1043–1055. doi: 10.1016/S0277-9536(01)00341-0. Khamis, V (2005). "Post-traumatic stress disorder among school age Palestinian children". Child Abuse Negl. 29 (1): 81–95. doi: 10.1016/j.chiabu.2004.06.013. PMID 15664427. Kolaczinski, J. H. (2004). "Subsidized Sales of Insecticide-Treated Nets in Afghan Refugee Camps Demonstrate the Feasibility of a Transition from Humanitarian Aid Towards Sustainability". Malaria Journal. 3: 15. doi: 10.1186/1475-2875-3-15. PMC 434525. PMID 15191614. Lamey, Andy (2011). Frontier Justice. Canada: Anchor Canada. ISBN 978-0-385-66255-0. Learn. "Raising the voice of the invisible Urban Refugees | Raising the voice of the invisible". Urban Refugees. Retrieved 18 December 2015. Mahmoud, Hala W. "Shattered dreams of Sudanese refugees in Cairo" (PDF). Forced Migration Review (FMR). Retrieved 9 July 2016. Markus, Francis (17 October 2014). "Tanzania grants citizenship to 162,000 Burundian refugees in historic decision". UNHCR. Retrieved 9 July 2016. McCarthy, Justin (1995). Death and Exile: The Ethnic Cleansing of Ottoman Muslims, 1821–1922. Darwin Press. ISBN 978-0-87850-094-9. Mertans, P; Hall, L (2000). "Malaria on the move: human population movement and malaria transmission". Emerging Infectious Diseases. 6 (2): 103–9. doi: 10.3201/eid0602.000202. PMC 2640853. PMID 10756143. Naimark, Norman (1995). The Russians in Germany. Harvard University Press. "Nairobi to open mission in Mogadishu". Standard Digital. 19 February 2014. Retrieved 18 June 2016. "Nansen International Office for Refugee: The Nobel Peace Prize 1938". The Nobel Foundation. "The Nazi Ostarbeiter (Eastern Worker) Program". Collectinghistory.net. "The Nobel Peace Prize 1938: Nansen International Office for Refugees". Nobelprize.org. Office of the United Nations High Commissioner for Refugees (UNHCR) (July 2011). "UNHCR Resettlement Handbook" (PDF). p. 19. "Old fears over new faces". The Seattle Times. 21 September 2006. "Patriots ignore greatest brutality". The Sydney Morning Herald. 13 August 2007. "Refugee Status Determination". unhcr.org. UNHCR. Retrieved 9 July 2016. "Refugees at highest ever level, reaching 65m, says UN". BBC News. 20 June 2016. Retrieved 20 June 2016. "Refugees: Save Us! Save Us!". Time. 9 July 1979. Refugees, United Nations High Commissioner for. "Global forced displacement hits record high". Retrieved 21 August 2016. "Refugee". Online Etymological Dictionary. Retrieved 15 May 2016. "Reich Citizenship Law (English translation at the University of the West of England)". Archived from the original on 28 August 2012. "Repatriation -- The Dark Side of World War II". Archived from the original on 17 January 2012. "Resettlement: A new beginning in a third country". UNHCR. Retrieved 19 July 2009. Roggelin, L.; Tappe, D.; Noack, B.; Addo, M.M. ; Tannich, E.; Rothe, C. (2016). "Sharp increase of imported Plasmodium vivax malaria seen in migrants from Eritrea in Hamburg, Germany". Malaria Journal. 15 (1): 325. doi: 10.1186/s12936-016-1366-7. PMC 4912711. PMID 27316351. Rowland, M; Rab, MA; Freeman, T; Durrani, N; Rehman, N (2002). "Afghan refugees and the temporal and spatial distribution of malaria in Pakistan". Social Science & Medicine. 55 (11): 2061–2072. doi: 10.1016/S0277-9536(01)00341-0. Rüegger, Seraina; Bohnet, Heidrun (16 November 2015). "The Ethnicity of Refugees (ER): A new dataset for understanding flight patterns". Conflict Management and Peace Science. 35: 65–88. doi: 10.1177/0738894215611865. ISSN 0738-8942. Schmitt, Celine (28 August 2014). "Angola Repatriation: Antonio returns home after 40 years in DR Congo". UNHCR. Retrieved 9 July 2016. Schmitt, Celine (5 August 2014). "UNHCR completes challenging repatriation of almost 120,000 Congolese refugees". UNHCR. Retrieved 9 July 2016. "Soviet Prisoners of War: Forgotten Nazi Victims of World War II". Archived from the original on 30 March 2008. "Spanish Civil War fighters look back". 28 February 2003. Statistisches Bundesamt, Die Deutschen Vertreibungsverluste. Wiesbaden. 1958. Sundquist, K; Johansson, LM; DeMarinis, V; Johansson, SE; Sundquist, J (2005). "Posttraumatic stress disorder and psychiatric co-morbidity: symptoms in a random sample of female Bosnian refugees". Eur Psychiatry. 20 (2): 158–64. doi: 10.1016/j.eurpsy.2004.12.001. PMID 15797701. UNHCR (8 December 2015). "UNHCR Statistical Yearbook 2014, 14th edition". UNHCR. Retrieved 7 March 2017. UNHCR (20 June 2016). "UNHCR Global Trends Forced Displacement 2015" (PDF). UNHCR. Retrieved 11 January 2017. US Centers for Disease Control and Prevention (CDC), Department of Health and Human Services (HHS) (2017). "Control of Communicable Diseases" (PDF) (Federal Register 82, no. 6890). "Understanding Resettlement to the UK: A Guide to the Gateway Protection Programme". Refugee Council on behalf of the Resettlement Inter-Agency Partnership. June 2004. Retrieved 19 July 2009. United Nations High Commissioner for Refugees (UNHCR) (2015). "UNHCR – Global Trends –Forced Displacement in 2014". UNHCR. United Nations High Commissioner for Refugees (UNHCR) (1999). "The Security and Civilian and Humanitarian Character of Refugee Camps and Settlements" (UNHCR EXCOM Report). United Nations High Commissioner for Refugees (UNHCR) (2011). "Ensuring Access to Health Care: Operational Guidance on Refugee Protection and Solutions in Urban Areas". United Nations High Commissioner for Refugees. "The UN Refugee Agency". UNHCR. Retrieved 18 December 2015. "United Nations Relief and Rehabilitation Administration". Infoplease 2000–2006 Pearson Education. The Columbia Electronic Encyclopedia. 1994. Retrieved 13 October 2006. Weiss, Thomas G. (1999). "Principles, politics, and humanitarian action". Ethics & International Affairs. 13 (1): 1–22. doi: 10.1111/j.1747-7093.1999.tb00322.x. "What is resettlement? A new challenge". UNHCR. Retrieved 19 July 2009. Fell, Peter and Debra Hayes (2007), "What are they doing here? A critical guide to asylum and immigration." Venture Press. Gibney, Matthew J. (2004), "The Ethics and Politics of Asylum: Liberal Democracy and the Response to Refugees"', Cambridge University Press. Schaeffer, P (2010), 'Refugees: On the economics of political migration.' International Migration 48(1): 1–22. Refugee number statistics taken from 'Refugee', Encyclopædia Britannica CD Edition (2004). Waters, Tony (2001), Bureaucatizing the Good Samaritan, Westview Press. Andy Lamey talks about the refugee crisis on Bookbits radio.